Northern Europe is under the cosh, with the UK, Ireland, Denmark Holland and Germany witnessing much cooler than normal weather and massive wind storms. 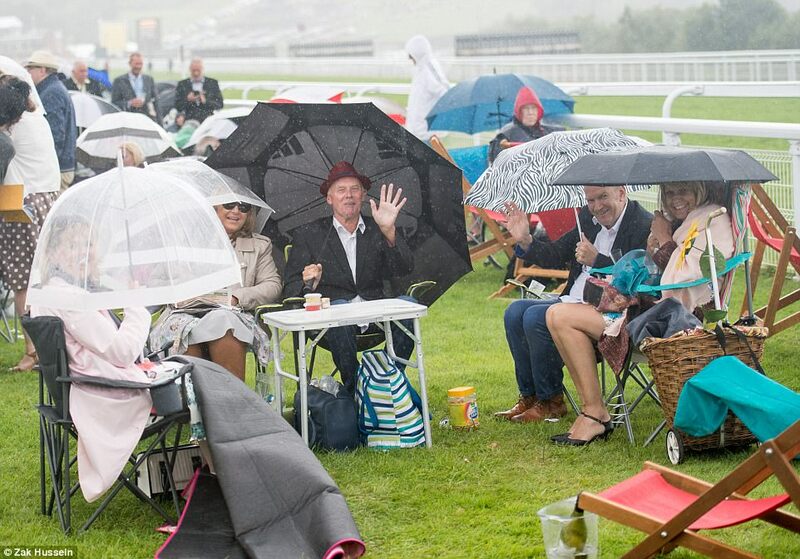 Race goer's in the UK shielding from the rain and wind. 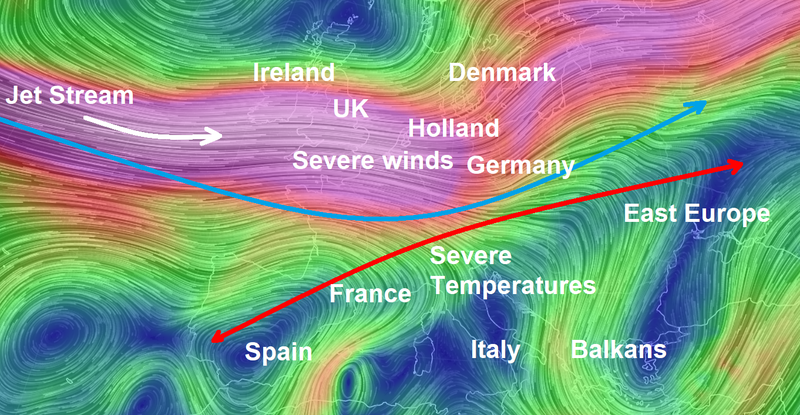 Following a bout of dangerous weather on Thursday, a generally active weather pattern is expected to continue in Germany into the weekend. Severe weather warnings were issued for parts of southern Germany experiencing extreme heat on Thursday, including Stuttgart and Munich. Temperatures in these cities reached 28 C (82 F) and 30 C (86 F), respectively. This warm and humid air ahead of a cold front helped to produce the dangerous thunderstorms as temperatures rose well above normal levels. Under the Jet Stream, southern and eastern Europe has been hit with a severe heatwave with temperatures well over 40 deg C.